Action movies are all about execution. Not just the elaborate ways they murder their characters but the confidence, and speed, with which they run through their laundry lists of touchstones. If they execute well, then the entire movie soars. If they execute badly then it’s an exercise in tickboxing rather than kickboxing. Kite, adapted from the infamous anime by Yasuomi Umetsu, falls somewhere between the two. Set in a grim future that’ll be familiar to anyone who’s ever read, or seen, any cyberpunk, it follows Sawa. The orphaned daughter of a cop who was murdered for investigating human trafficking, she was raised by his former partner, Karl Aker. Aker trained her, turning the young woman into an assassin who has methodically killed her way up the chain of the organization that murdered her parents. She’s Bryan Mills with better wigs, Eric Draven with accessories. A woman whose relentless thirst for revenge, and capacity for violence, are fuelled by one thing; voluntary amnesia. Unable to face the memories of her parents’ murder, Sawa is addicted to a drug that wipes her mind and it’s starting to wear off. 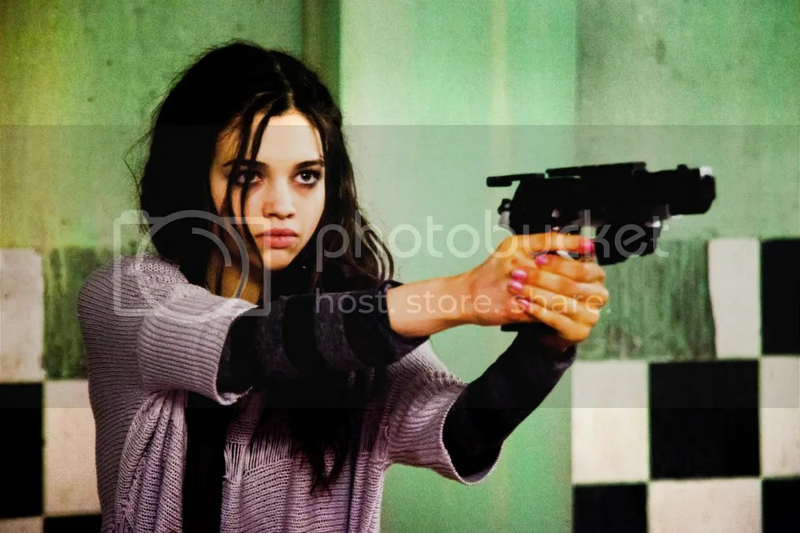 It’s an interesting central concept and India Eisley as Sawa gets some good mileage out of it. She’s trapped in the emotional void, grieving not only for her loss but for the loss of her memories of it. The movie’s most affecting scene is nothing more than Eisley interacting with the half photo of her parents she has left. She’s as disgusted as she is attracted by it; an object that embodies her weakness even as it gives her the strength she needs to kill her targets. Those targets are the subject of some of the most artfully scrappy and at times colossally OTT action scenes in recent memory. Eisley’s a relatively untrained action lead and that actually helps a great deal. Her fight scenes are shot through with equal parts conditioned response, panic and rage and it sells both Sawa’s intensity and her instability. Again, the film’s double-edged sword works and, again, it could stand a lot more of that sort of subtlety of approach. Because whilst Sawa’s techniques are untidy and realistic, her kills are straight out of the Early Sam Raimi School Of Restraint. The exploding bullets from the anime make a brief, meaty appearance but a climactic fight scene in a kitchen is the one point where the film truly cuts loose and death by kebab skewer and by nasal Spit insertion follow hot on the heels of one another. These moments, along with the other scenes of bloodstained, bug-eyed excess, don’t sit remotely well with the rest of the movie. There’s restraint and intelligence behind the action scenes at their best. There’s a man being stabbed in the brain with a Spit at their worst. It’s not that the work is bad either, it’s that when the tone changes in the middle of every single fight scene, as it does, you end up with action movie whiplash. It’s a real shame too because when the film settles down, it’s got some real weight to it. Eisley’s relative inexperience is a definite bonus and the rest of the cast are, for the most part, very good. Callan McAuliffe as Oburi, Sawa’s reluctant partner, is especially great and, again, the film uses action to emphasize character. Where Sawa is a mostly controlled berserker, Oburi fights both clever and dirty. He reacts like a normal person would in these situations, clearly terrified in the face of a gang of attackers and using distraction, intellect and straight up cheating to always stay one step ahead. The eventual reveal on their relationship is nicely handled too and it’s almost entirely McAuliffe’s plot to land, which he manages admirably. Zane Meas also does great work as The Emir, Sawa’s final target, playing very deliberately and successfully against type. Only Jackson disappoints a little, but again that’s tied to the film’s split nature. He’s surprisingly good as a buttoned down, broken down detective and, for the first hour of the film, provides a nice moral anchor. However the film never really settles down long enough to give him much to do. There’s a promising sub plot about his work with Sawa being uncovered but it disappears for most of the final act. There are good reasons for that but Jackson has more to give than he’s allowed to here and it would have been nice to really see him sink his teeth into a quieter role like this. 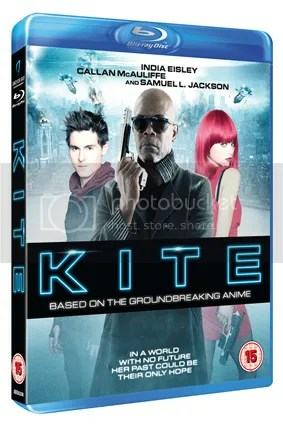 Kite’s been slammed up and down the internet by other critics and, unusually for me, I can see why. It’s a relentlessly uneven movie and it’s very easy to read that lack of consistency as lack of depth or worth. However, there’s still a lot to enjoy in Kite. Eisley and Mcauliffe turn in great work, the thing looks fantastic and there are some big ideas on display. They’re not quite executed smoothly enough though and, in action movies, just like in Sawa’s line of work, execution really is everything.